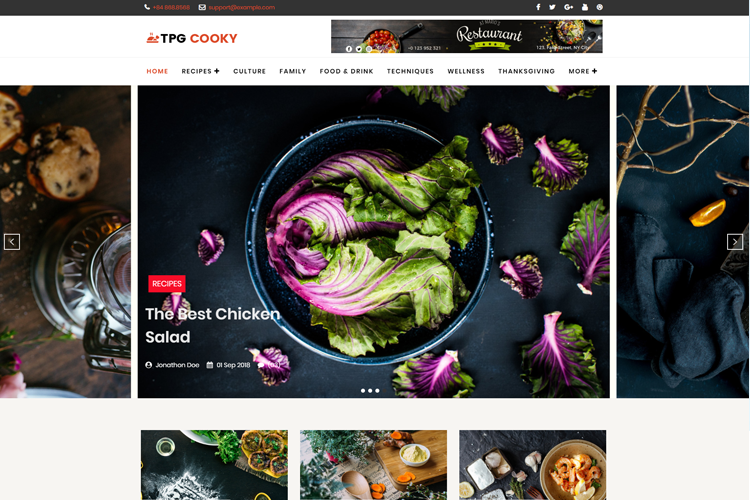 TPG Cooky is a high-quality WordPress food blog theme that has amazing design for kinds of blog, magazine, especially for food blogs and reviews. 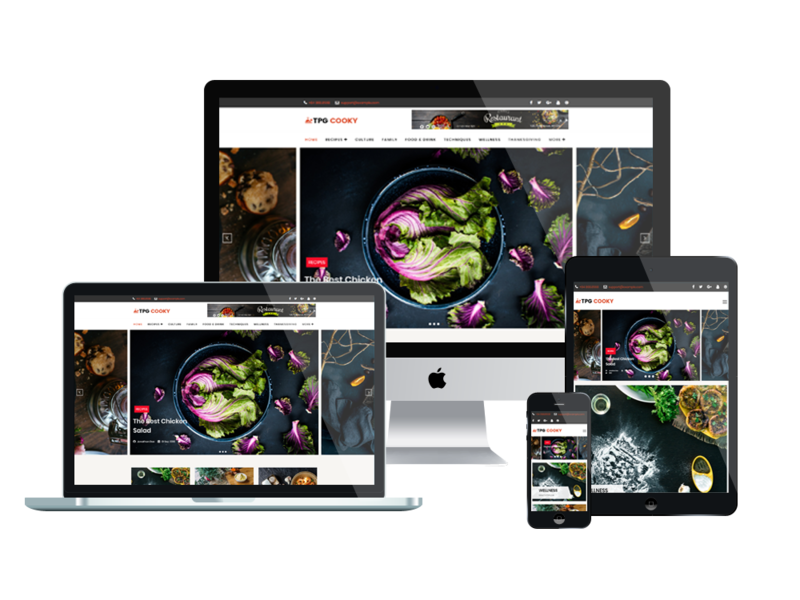 This theme has been developed with the latest web technologies, so every detail in the theme is really modern and convenient. 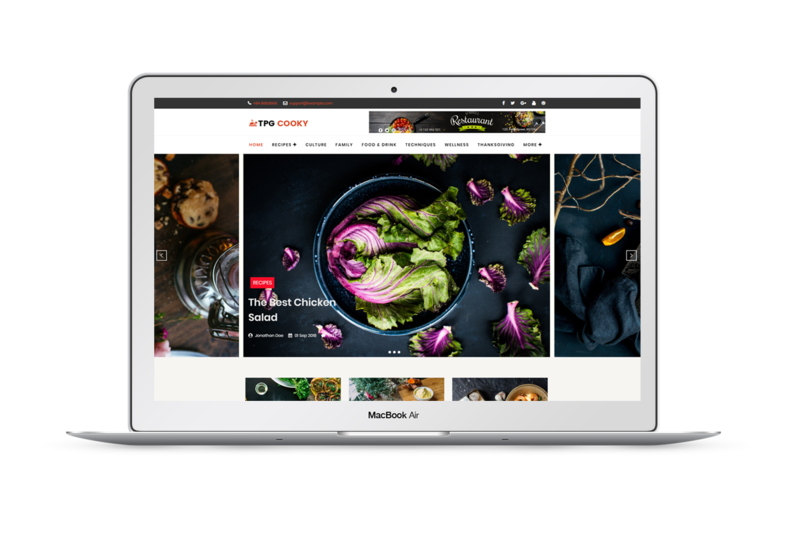 Especially, it based on the powerful Page Builder by SiteOrigin, along with Genesis Framework, TPG Cooky makes everything easier for you to customize and create a beautiful website as you want. 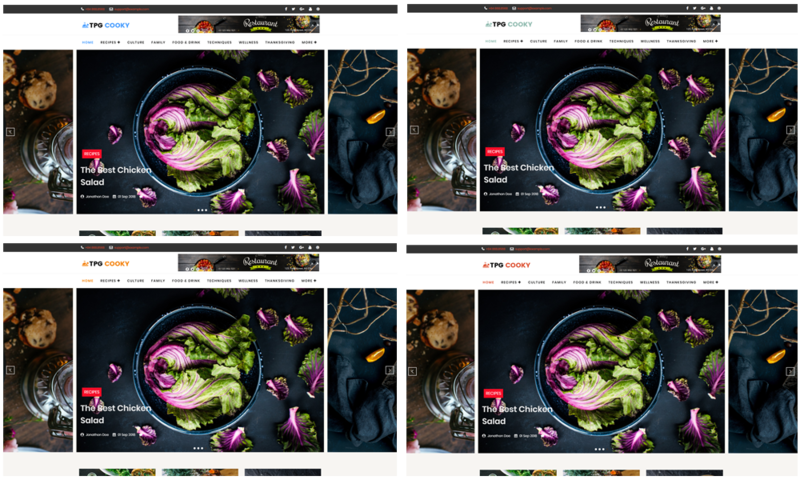 Our experienced developers have designed this theme with a good sense of aesthetic, all the sections throughout the page are well-organized with eye-catching animation effects, therefore, all of your news or information will be displayed amazingly on your site. Besides, TPG Cooky also shows its best performance on any kinds of mobile device, with 100% responsive and stylish layout. Do not miss this nice theme, give it a look now! TPG Cooky brings to your site an elegant, simple and clean design for showcasing and promoting websites impressively. The theme content is also easy to edit and customize by powerful admin panel. 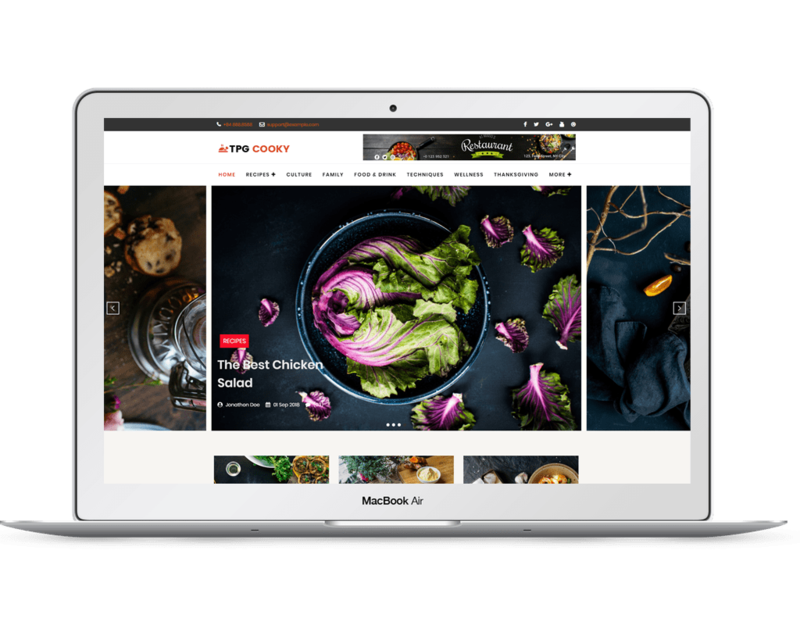 Designed as a mobile-ready WordPress theme, TPG Cooky helps your site perform its best across any mobile devices and PC screen sizes, with the whole content displays in a proper way. TPG Cooky is simple, clean looking template designed mainly for new education websites. It’s easy to custom and edit content via convenient template parameters. We provide 4 color styles for this template by default, you can extend it easily.